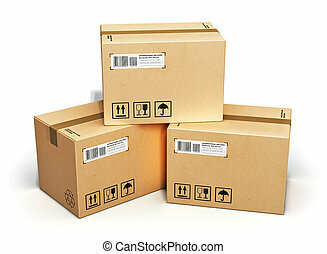 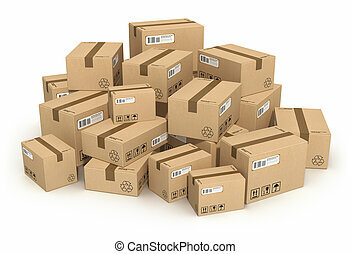 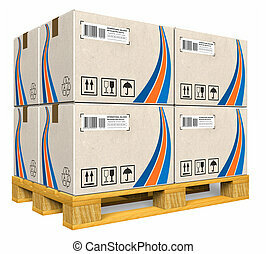 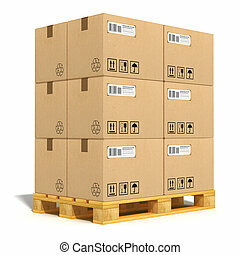 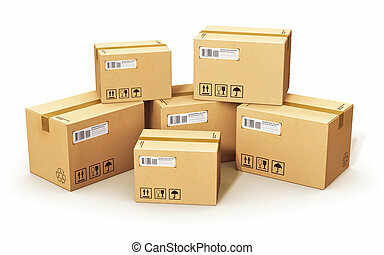 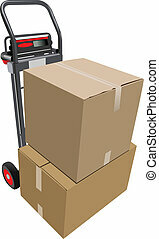 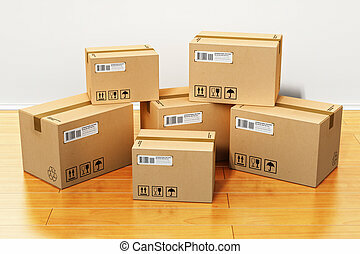 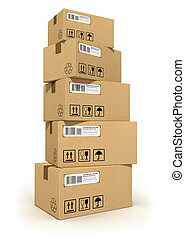 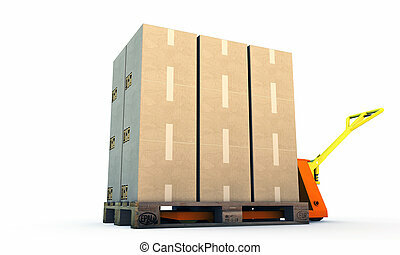 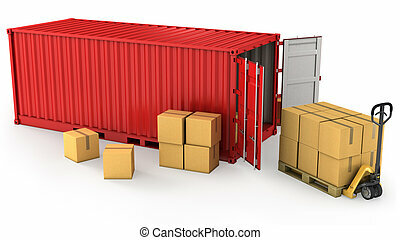 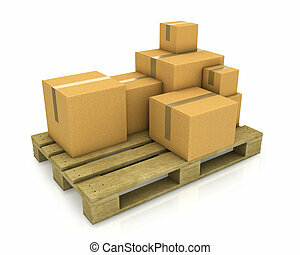 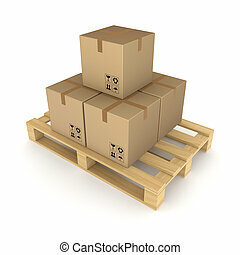 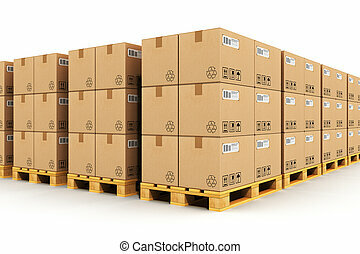 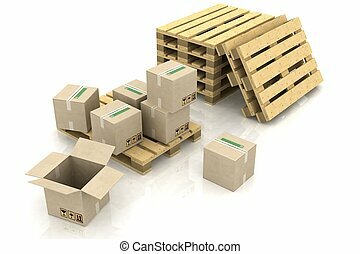 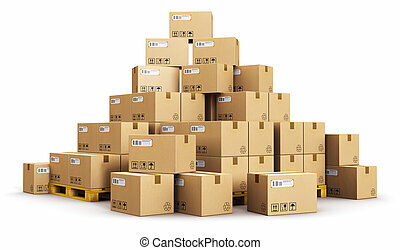 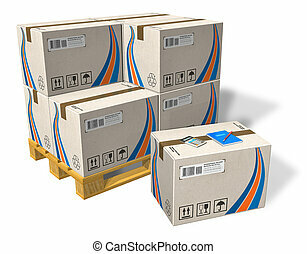 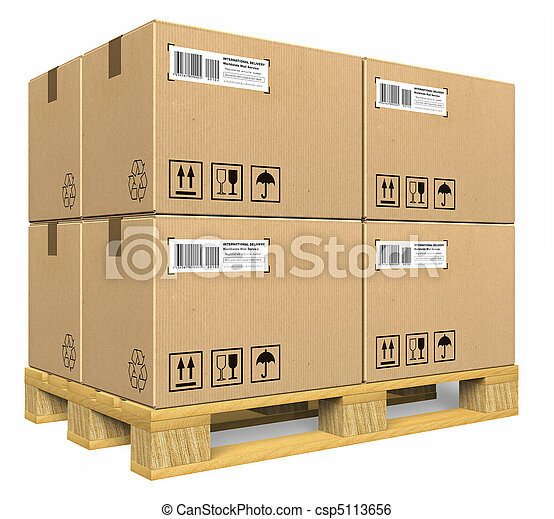 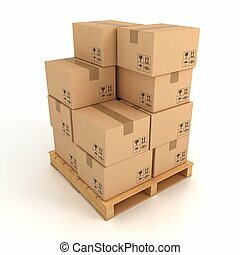 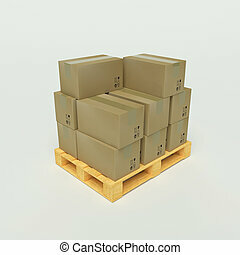 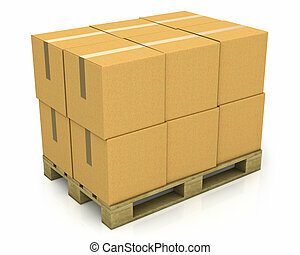 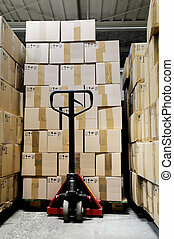 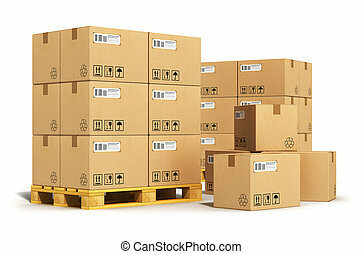 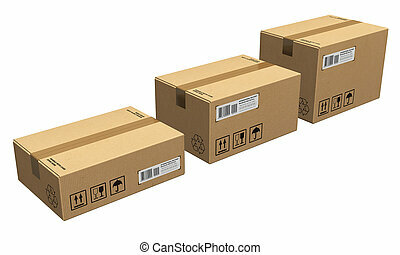 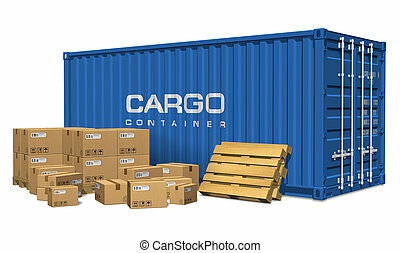 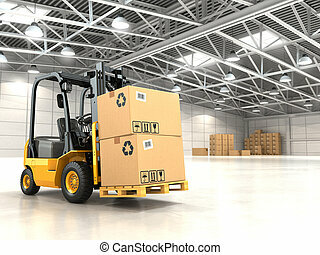 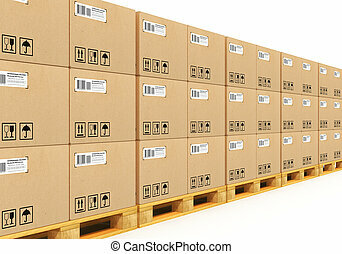 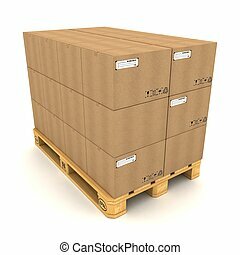 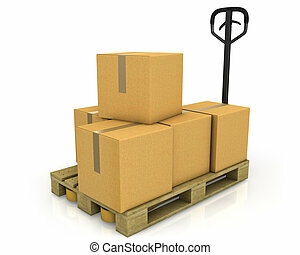 Carton boxes on pallet.Isolated on white background.3d rendered. 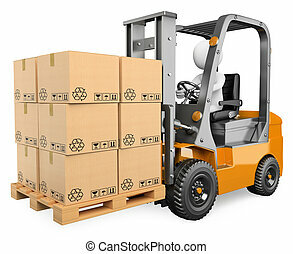 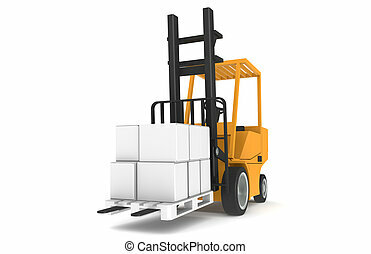 Forklift with Pallet, Front view. 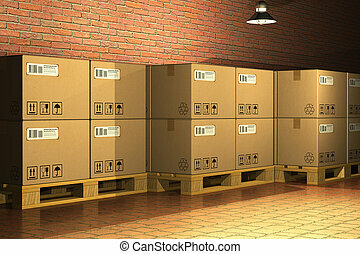 Part of a Warehouse series.